CAPE CANAVERAL — Successfully put through its countdown paces in a critical pre-flight test Thursday, America’s largest rocket currently in service moved closer to a June launch for the U.S. intelligence community. Liftoff of the United Launch Alliance Delta 4-Heavy on the classified NROL-37 mission is targeted for June 4. Known as a Wet Dress Rehearsal, the WDR rolled back the mobile gantry Thursday morning at Cape Canaveral’s Complex 37B and performed a full countdown to a simulated liftoff time later in the day. All eight cryogenic tanks aboard the rocket — four liquid hydrogen and four liquid oxygen in the three Common Booster Cores and the upper stage — were filled to check systems both on the vehicle and ground support equipment. WDRs are classic milestones for U.S. rockets to uncover any issues before the real launch day arrives. 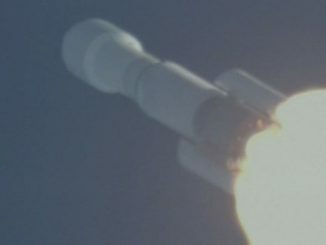 The payload for NROL-37 is a top-secret spy satellite for the National Reconnaissance Office, the secretive government agency responsible for the design and operation of the country’s surveillance spacecraft. 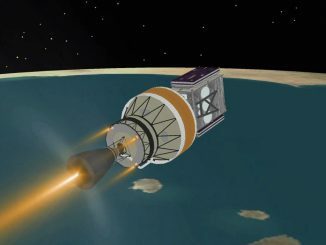 The NROL-37 craft is thought to be an eavesdropping platform that the Delta 4-Heavy will deliver directly into a circular geosynchronous orbit of 22,300 miles. The satellite will be brought to the launch pad in about a month for mating to the Heavy, completing assembly of the 235-foot-tall rocket. Preparations for the flight have not been impacted by the Atlas first stage performance trouble experienced during the March 22 flight. The Delta 4-Heavy systems were cleared of any similar concern. 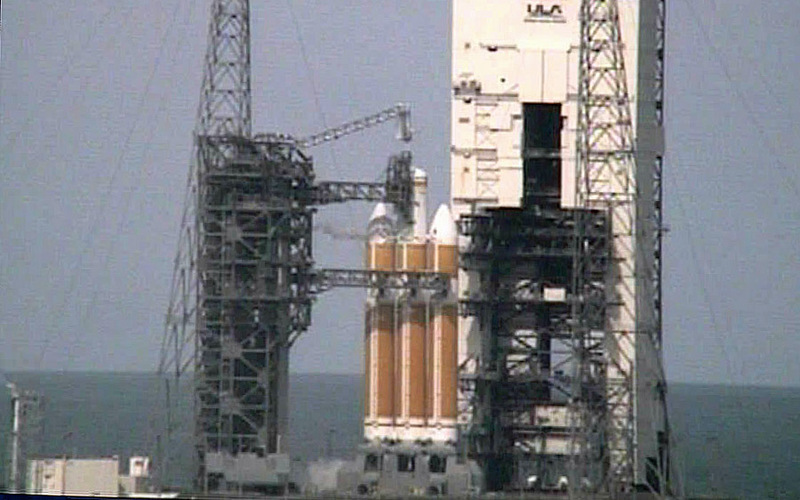 The Delta 4-Heavy was rolled out to the pad on March 7 for what was planned to be a May 12 launch. The mission, however, slipped to June 4 due to an undisclosed payload readiness issue. NROL-37 will be the ninth launch of a Delta 4-Heavy rocket and sixth carrying the largest NRO satellites. See earlier Delta 374 coverage.